A blog reader has asked for help in identifying a piece. 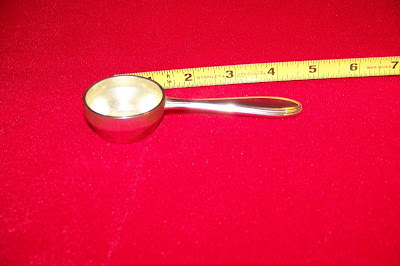 The item in the picture below weighs about three ounces and holds about one ounce liquid. Can anyone out there tell us what it is? I think this is a coffee bean scoop, I have a similar one.